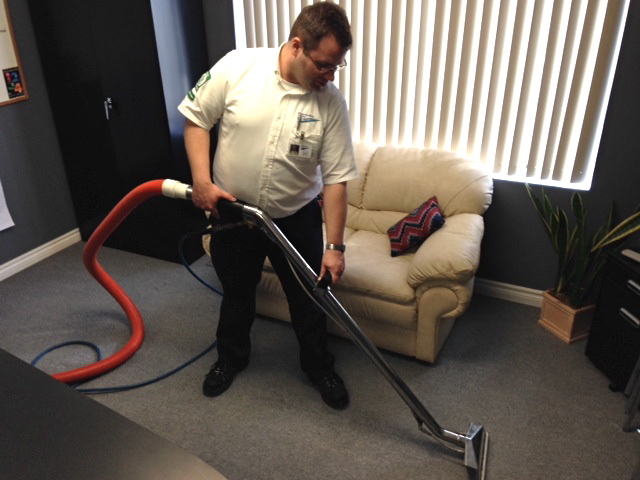 Who is the Best Carpet Cleaning Company in Niagara & St. Catharines? A quick Google search will tell you that there are A LOT of carpet cleaning companies in Niagara & St. Catharines. Each spouting the same type of “laundry list” message: Same day service, certified technicians, professional service, safe detergents, the biggest & baddest cleaning machines, and on and on. Because many cleaning companies all advertise the same thing – it can be very difficult to know which one is the best carpet cleaning company to call when you need clean carpets. BUT – fortunately for you, your Google search has led you to us: Professional Carpet Systems. We are Niagara & St. Catharines ABSOLUTE BEST CARPET CLEANING COMPANY! Let us tell you why we can make that claim. First of all – WE’RE NOT LIKE ALL THE OTHER CLEANERS. Oh sure, all the stuff they “say” they do – we do too. But really, aren’t “certified technicians” and “professional service” things that you already expect from a cleaning company. Certainly you didn’t start your search looking for the most “UN-PROFESSIONAL” and “UN-QUALIFIED” company you could find. That would be pretty ridiculous wouldn’t it? So, we assume that you already have those expectations – we meet them – and so let’s move on to what REALLY SETS US APART from the rest. At first it might sound corny, but here at Professional Carpet Systems we care about your carpet. Like all good parents care for the well-being and health of their children, we feel a similar attachment to your carpeting. We know that soil, sand, grit and grime will cause permanent damage to carpet fibers. We also know that pollens, dust mite feces, mold spores and allergens settle on carpet fibers and can cause health challenges to you and your family. And finally, we know that spills become spots and spots that are not cared for properly become permanent stains that leave a long lasting impression on everyone who sees them. At Professional Carpet Systems, we want the best for you and your carpet. You put on clean clothes every day because you want to look nice. You wash your dishes after each use because you don’t want to get sick. You even shower or bathe each day (or two) because you don’t want to stink. You do each of these things because you care about yourself and others. But, what about your carpet? Don’t you want it to look nice, to keep you from getting sick and to not stink too? Soil, sand and grit are getting tracked onto your carpet every single day. And pollens, dust mite feces, mold spores and allergens get deposited onto it with every passing hour. 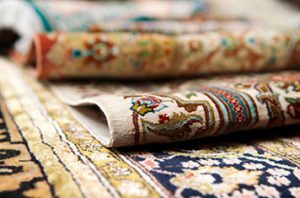 Your Health AND Your Carpet’s Health are at RISK! And that’s where Professional Carpet Systems comes in. We’re in the business of rescuing and caring for your carpet’s health, which in turn pays back the dividends of a safer, healthier home for you and your family to live in. Dry Soil Removal (a fancy way to say “vacuuming”): Remember last time you took the hose to your dirty driveway? What happened when all that dirt got wet? That’s right – IT TURNED TO MUD and the result was that it took a lot longer to clean the driveway. Think of how much time you could have saved if you would have used a leaf-blower FIRST. It’s the same with carpet cleaning. 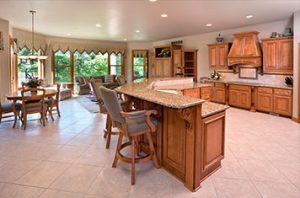 PRE-VACUUMING is a CRITICAL STEP to healthy cleaning. We remove as much of the dry-soil as possible BEFORE we add water. Pre-treatment of Concerning Spots: By treating trouble areas BEFORE cleaning it allows extra time for the detergents to break up the pesky soil and work magic. ECO-FRIENDLY Pre-Spray Applied: Think about every other cleaning process or procedure you take part in. Washing laundry, doing dishes, cleaning the toilet – you ALWAYS use some kind of soap. So do we. The pre-spray goes to work immediately to loosen and dissolve soils, spots and spills. Agitation: Again, just like when you clean dishes, the rag or “scrubby” agitates the dishes to continue the soil removal process. We agitate the soils and grit in your carpet too – only in our safe and unique way. Thorough RINSING WITH HOT / SOFT WATER: This removes all the broken up & loose soil, sand, grit & grime. Professional Carpet Systems uses Hot Water Extraction (HWE). It’s the only cleaning method recommended by Shaw, Mohawk, and other carpet manufacturers to deep clean carpeting. At over 190 degrees, the hot water sanitizes as it rinses the carpet clean. We bring our own soft water into your home, because soft water is better than tap water. Soft water will clean better, dry faster, and leave the carpet fibers softer. We Wipe Down Baseboards (if requested): Isn’t that an AMAZING concept! Furniture is reset and Styrofoam blocks / plastic tabs placed under the legs: Since the carpet is still slightly wet at this point, we won’t risk damaging your home furnishings or your carpet to staining. Carpet Grooming & Nap Setting: With a specialized carpet brush / rake we thoroughly groom your carpet. This process separates the carpet fibers, spreads the Maxim Protector evenly and promotes faster drying times. Speed Drying with High-Capacity Air Movers: Your carpets are left virtually dry by the time our “Carpet Care Professionals” leave your home. Our professional carpet cleaning (caring) will improve the appearance and extend the life of your carpeting. Your indoor air quality will also be tremendously improved which in turn will promote better health and easier breathing. Plus, we’ll be able to remove stains that other cleaners left behind. We Guarantee It! So, you came to our website because you were looking for answers as to who is the best carpet cleaning company in Niagara & St. Catharines. Now YOU’VE FOUND THEM. All that’s left for you to do now is to pick up the phone and call us. Professional Carpet Systems will get you on your way to living happy and healthy.